The Stinger was once considered a cocktail strictly for members of high society. It's even rumored to have been a favorite of millionaire Reginald Vanderbilt and author Somerset Maugham. These days, the drink isn't quite so common as other popular cocktails, but since the International Bartenders Association lists it as one of their officially "unforgettable" cocktails, it's worth your while to give it, and a few of its variations, a try. The classic Stinger recipe calls for white créme de menthe. If you're not a fan of mint-flavored cocktails, don't let that scare you off. Combined with brandy or cognac, the drink is rather smooth and even a little soothing. Mixing a Stinger is fairly simple. Although you'll find slight differences in the exact measurements of the two key ingredients in various recipes, the following recipe is a good representation of this cocktail. Combine the two ingredients in a shaker with some cracked ice. Shake briefly, and strain the contents into a chilled old fashioned glass. 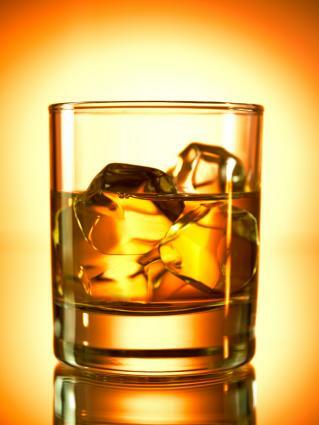 If you prefer your drink extra chilly, add some ice to the glass before you pour the drink into it. Alternatively, you can simply stir the ingredients with ice, and then strain them into an old-fashioned glass if prefer your cocktail stirred rather than shaken. You can always tweak the ingredients in your Stinger to adjust the flavor to your taste, but there is one substitution you really shouldn't make. Don't use green créme de menthe in place of white in the classic recipe. The easiest way to change up a Stinger is to substitute a different kind of liquor for the cognac or brandy, such as using vodka for a vodka Stinger, rum for a rum Stinger, tequila for a tequila Stinger, and so on. There are also several other versions of the classic Stinger. Simply combine the ingredients in an old fashioned glass, and stir. Combine the brandy and créme de menthe in a shaker with ice, shake for a couple seconds, and strain the drink into a cocktail glass. Combine the Amaretto and créme de menthe in a shaker with ice, shake briefly, and strain the cocktail into a cocktail glass. Combine the whiskey, créme de menthe and peach liqueur in a shaker with ice, shake for a couple seconds, and strain the drink into a chilled cocktail glass. Between the classic Stinger and all the variations, there's a good chance one of these recipes will hit the spot with you. Enjoy one after dinner, or even drink one to let the mint help settle your stomach. This is one classic drink that every cocktail enthusiast should know how to make.